This section contains an overview on how an Author works in Crafter CMS. Content authors creates, edits and submits content for a site. Crafter CMS’s Crafter Studio provides the content author an easy to use authoring and management system for developing and optimizing the content and dynamic site visitor experience for any and all of your Web properties. Crafter CMS is a web content and experience management solution that allows organizations to build and manage rich online experiences on the web, mobile, social, and all digital online channels. It is a web based application. There is nothing to install. On approval, content is published to the live environment. 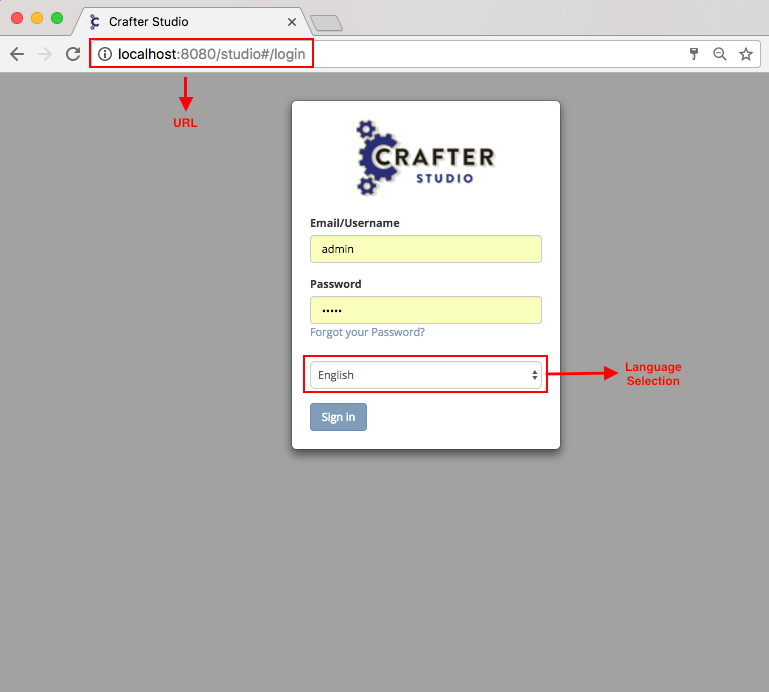 Crafter Studio can publish to anywhere including social networks however, we often Publish to Crafter Engine. Crafter Engine is a high performance, Spring MVC based content delivery engine. Crafter Engine delivers highly personalized HTML (and other markup) based content and Content APIS (Content as a Service). Crafter Engine is multi-tenant so you can deliver as many sites as you need to. Note: You can change the language used for the Studio UI by selecting a language on the log in screen. Content Manager (Publisher Role) A content Manager has the ability to approve and reject workflow. A content manager also has access to a number of dashboards which are not available to content contributors including Recently Published and Approved Scheduled Items.